We were in the middle of working for some projects, which involving cards making. Tricky part on doing cards are sometime you have tonnes of idea but second later, puff, they were all gone, and you might just stare at the paper as you can't think of anything. Haha. Well, the card above is not fully done yet. We could't made up our mind on the embellishments placing hence decided to wrote this post . For the last few months we had received a tremendous number of photobooth props order. Alhamdulillah.. Due to that, we had to decline few card orders. If you follow this blog regularly, it was obvious that the blog updates were mostly on props. Literally, declining any card order made us sad. 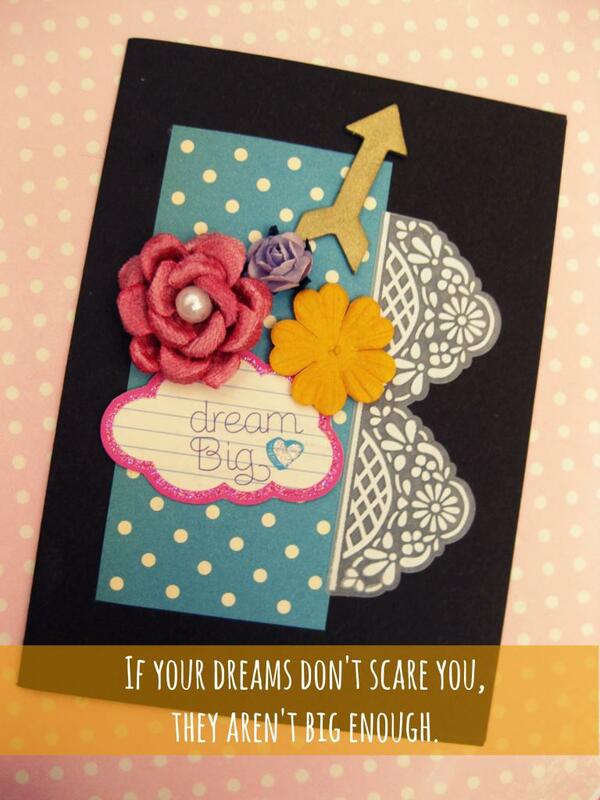 Handmade cards are the backbone, the main reason behind Diyadeary existence. InsyaAllah... As long as we can, we will still making cards. Just drop us an email to place your order, okay? *smile* If time and schedule permits, InsyaAllah we will accept your orders!